Today we celebrate the birthday of William Shakespeare, born in Stratford-upon-Avon, England (1564 -1616). We don’t know his birthday for sure, but he was baptized on April 26th, and since infants were usually baptized about three days after their birth, his birthday is celebrated today. On this day in 1616 both #Shakespeare and Miguel de Cervantes died, and is also the generally accepted day of Shakespeare’s birth in 1564. Author Neil Gaiman has more fun, tweeting about Shakespeare’s birthday and St George’s Day. Happy #worldbooknight. Happy Shakespeare & Cervantes birthdays. 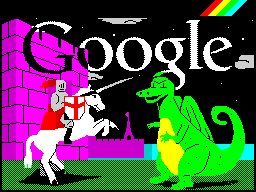 Happy St George’s Day. Fight dragons & windmills, read books & quote wisely. //platform.twitter.com/widgets.jsArianna Huffington also has a top tweet on Shakespeare’s birthday, taking time off from politics. Happy Birthday, William Shakespeare! Whoever you were, there’s never been anyone like you. //platform.twitter.com/widgets.jsThe Writer’s Almanac is running this Shakespeare sonnet today. It certainly strikes a chord.